Reject Separator For Paper Pulping Machine is a very popular pulping equipment in European countries in recent years. this machine has the characteristics of high fiber yield and low processing cost, and is mainly used for sorting coarse selection tailings after fiber separator and pressure screen. the tailings slag contains no fiber and meets environmental protection emission standards after sorting, Reject Separator For Paper Pulping Machine has been developed and manufactured by our company through many efforts. it is an ideal equipment for processing tailings in the waste paper pulping process. Firstly, the specially designed rotor of Reject Separator For Paper Pulping Machine produces centrifugal force in the process of high-speed rotation and backwash water, which can relief pulp effectively and can achieve pulp and impurities easily separate. 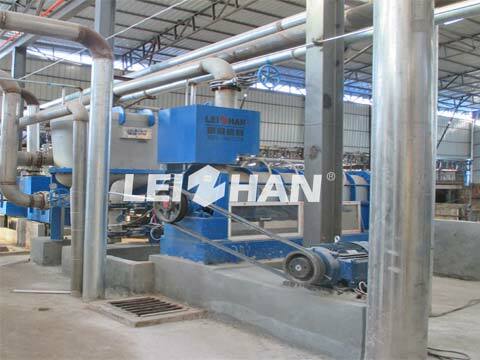 secondly, Reject Separator For Paper Pulping Machine has closed working condition and clean environment. Thirdly, with openable upper cover makes maintenance easy and convenient. We can offer PZ1 and PZ2 two types Reject Separator For Paper Pulping Machine for you, you can choose it according to your requirement, more details, welcome to email with us, our email address: paperproductmachine@gmail.com.